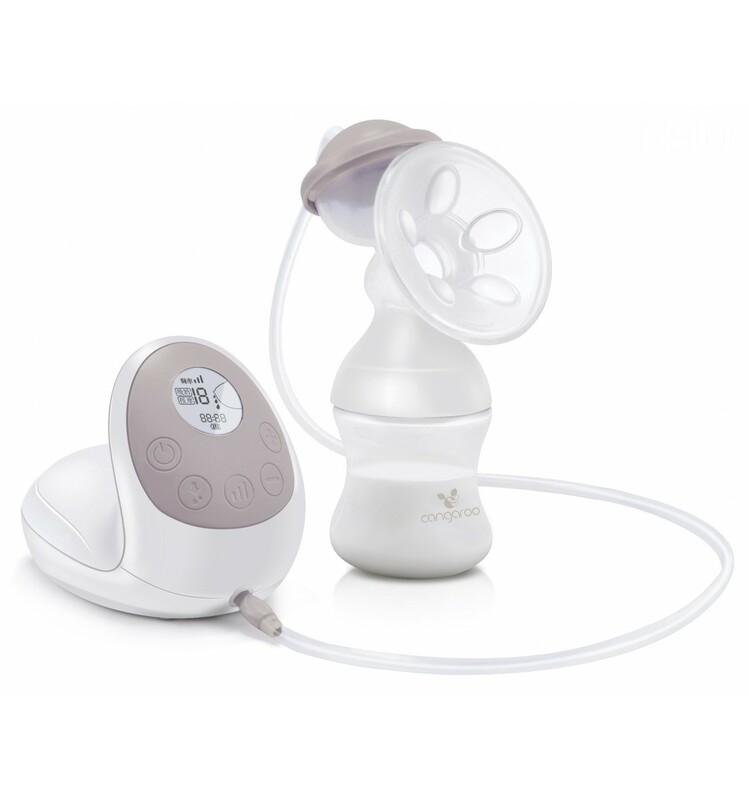 Electric breast pump of Cangaroo Gentle Touch has 10 degrees of stimulation, 3 degrees of frequency, 15 degrees of draining. With soft ribbed silicone nozzle providing comfort; LCD display; Easy to clean. The electric breast pump of Cangaroo with varying degrees of control pumping strength, flap gently pumping and soft massage nozzle. The product of two basic modes: cycle massage or so-called stimulation - 10 levels and 3 levels of frequency. The user can adjust thus most - appropriate frequency of draining and stimulation because the scope of the power of juicing ranged from 7 to 16 KPa, a frequency of 70 to 90 times / minute.